Furniture rental at CORT combines excellence with exceptional service so you know you’re getting the best! More than 40 years ago, CORT began with a single goal in mind: to deliver unparalleled customer service to people and businesses. They are the nation’s leading provider of transition services, including furniture rental for home and office, event furnishings, destination services, apartment locating, touring and other services. 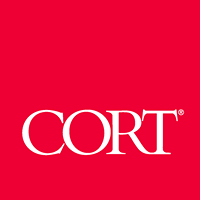 CORT takes pride in providing world-class service in a very personal, customized way.